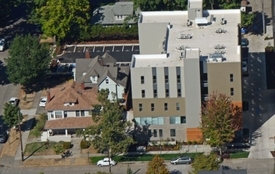 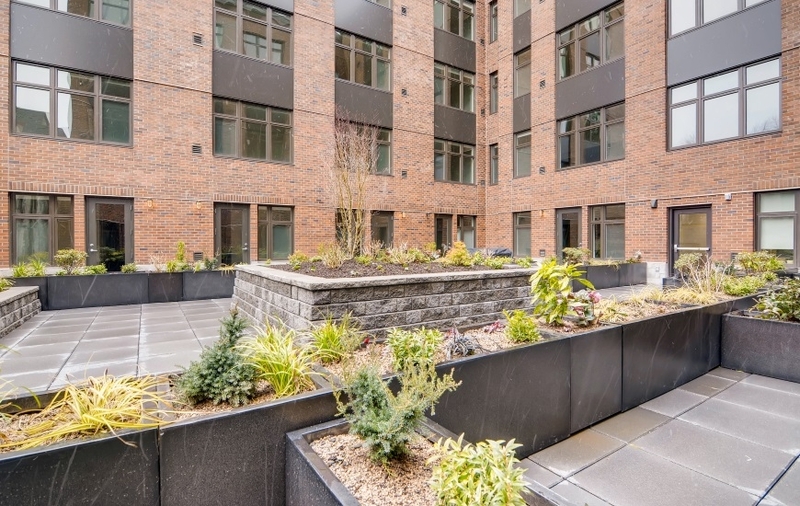 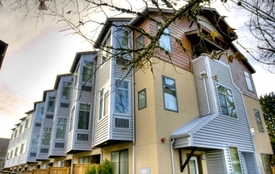 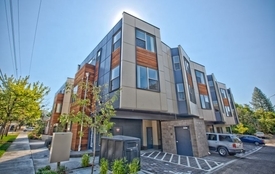 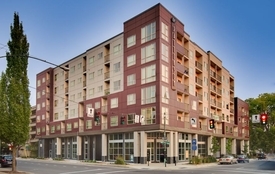 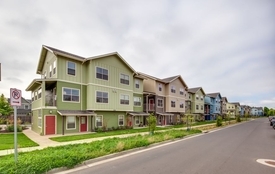 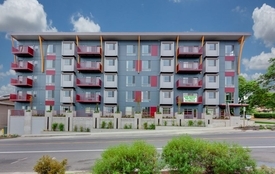 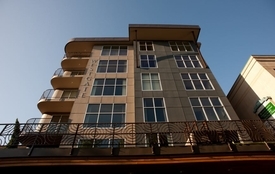 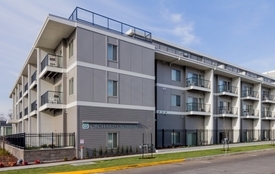 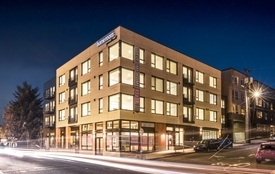 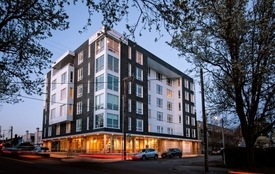 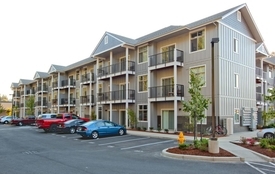 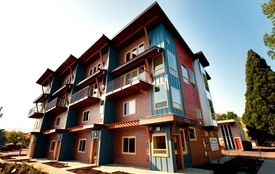 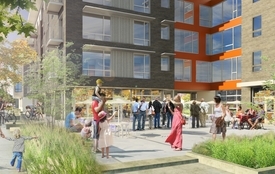 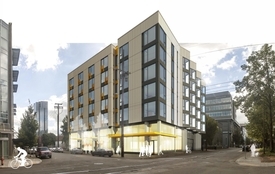 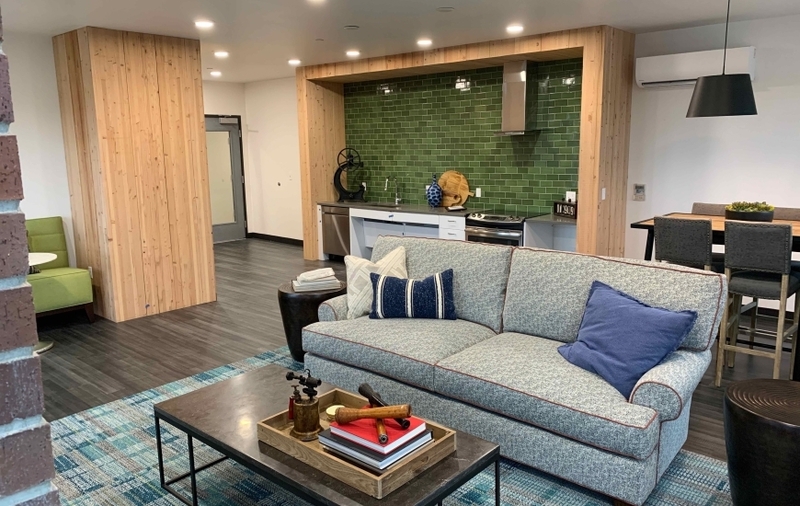 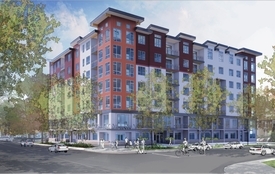 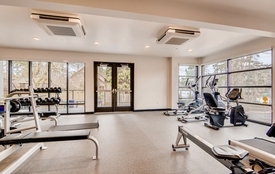 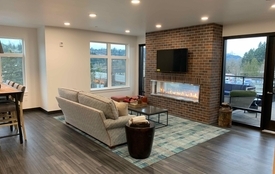 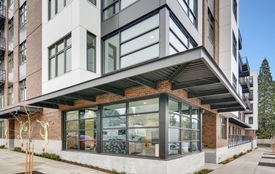 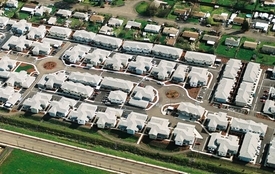 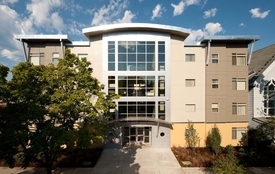 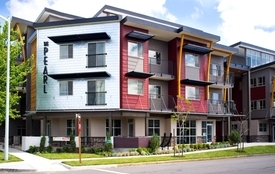 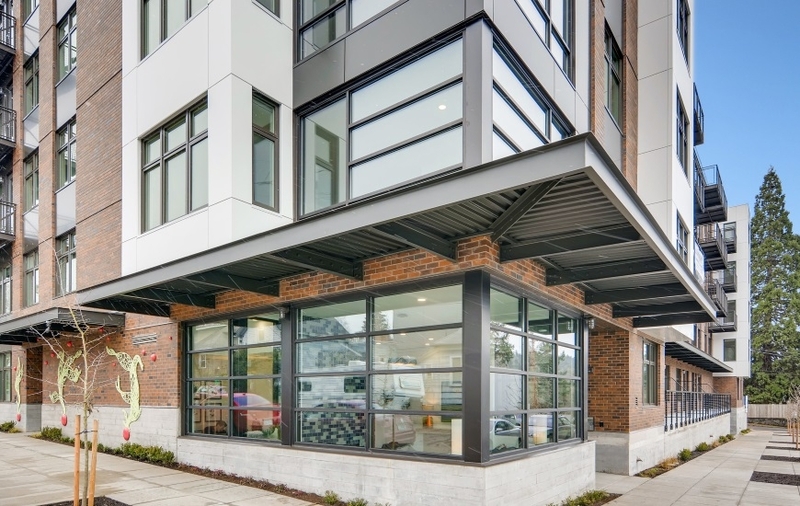 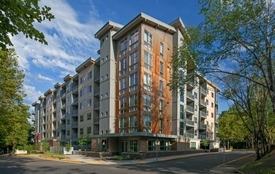 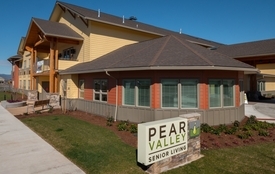 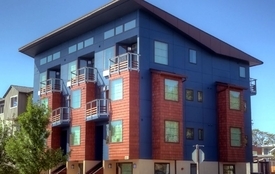 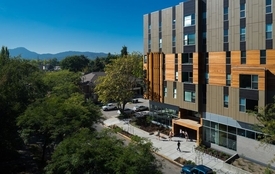 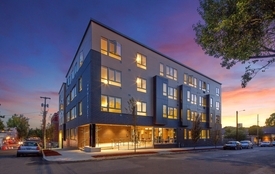 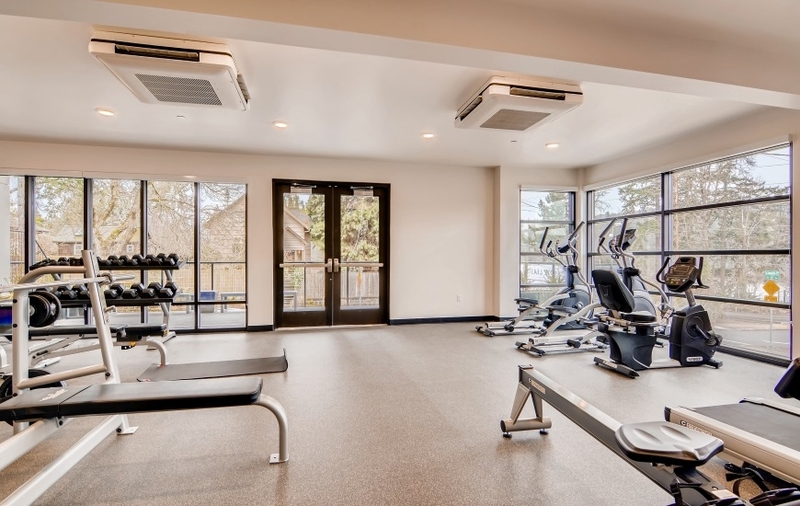 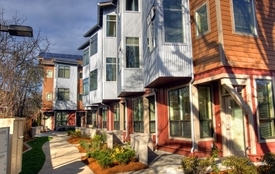 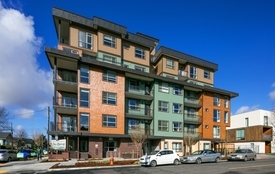 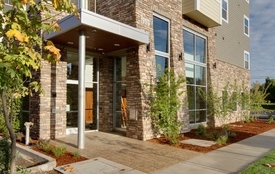 The Sellwood Bridgehead Apartments are located at 8222 SE 6th Avenue in Portland, Oregon. 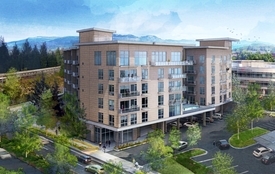 Construction will be 5 stories of wood-frame over 1 PT slab at ground level and a slab-on-grade below ground level at the underground parking. 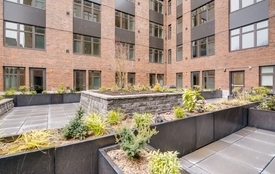 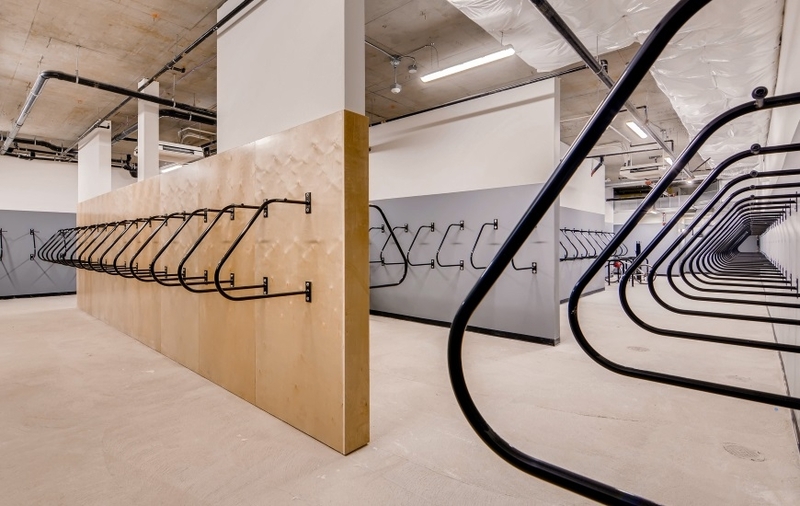 The building includes studio, 1 bedroom 1 bath, and 2 bedroom 1 bath apartments and 49 underground parking spaces plus amenities. 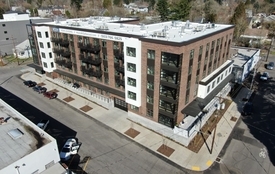 The building totals 103,400 gross square feet. 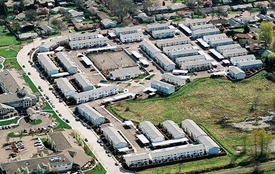 Our scope of work includes public improvements work along 3 sides of the property.